The first week of the Mythic progression race is coming to a close, and the three usual suspects - Paragon, Method, and Midwinter - have taken a meaningful lead (at 11/13, 11/13, and 10/13, respectively). Only 20 guilds total have over five bosses down, and only 10 are at 9/13 or more encounters down. Europe took a lead with both Paragon and Method downing Mythic Tyrant Velhari, while Midwinter has the only other Mythic Xhul'horac kill outside of their two European counterparts. 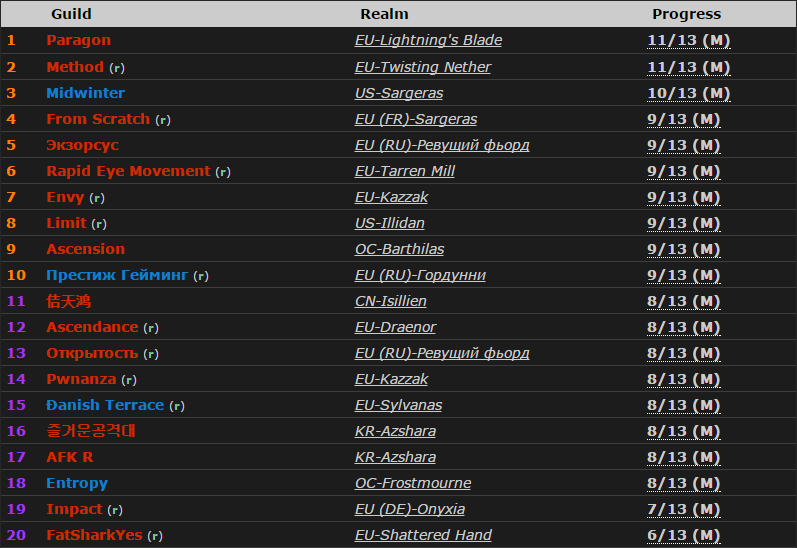 Another seven guilds have Fel Lord Zakuun down, and eight more beyond that have Mythic Socrethar. One EU guild also has Iskar, and another has Gorefiend. To this point, less than 300 guilds have killed any bosses on Mythic at all. Rankings as at 10 a.m. PST, July 6, 2015. The kill details for the current top contenders. Icy Veins now has details for the Mythic version of the Kormrok encounter in our strategy guide! 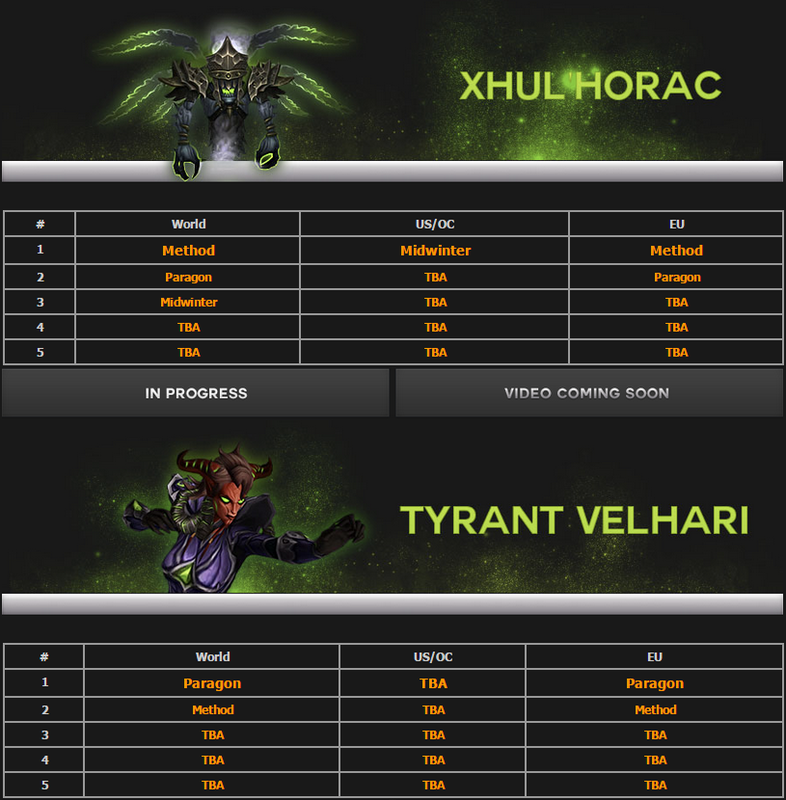 Do you expect to see one of the premier guilds kill Archimonde in the second reset?